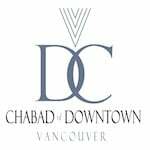 CityGan is committed to providing a meaningful Shabbat Shul experience for children and parents alike. Our children-friendly playroom includes toys, books, and fun games for all children! Parents get to enjoy a relaxing and meaningful time in shul , while kids have fun playing! Plus, the whole family is invited to join the Kiddush lunch following the program!